The NBA season is just hours away from beginning. All of your favorite teams and players will be playing for the playoff spots (due to new change in playoff seeding), but this also means that we get to see many fantastic players break out some really nice shoes, including PE versions. 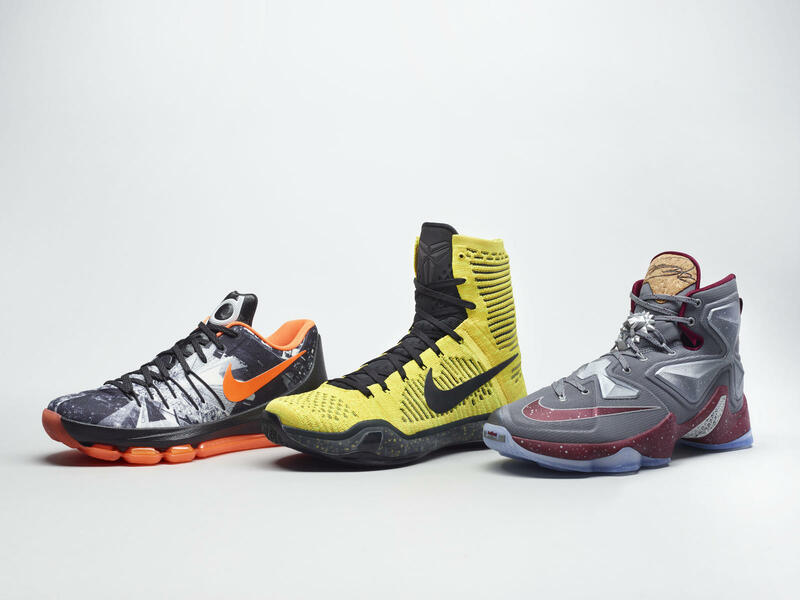 Today, Nike Basketball gives us a look at the “Opening Night” Pack, featuring the Nike KD 8, Nike Kobe X Elite, and Nike LeBron 13. The Opening Night Pack gives a take on a “modern expressions of the players’ team colors” (in respect to Durant, Bryant, and James). 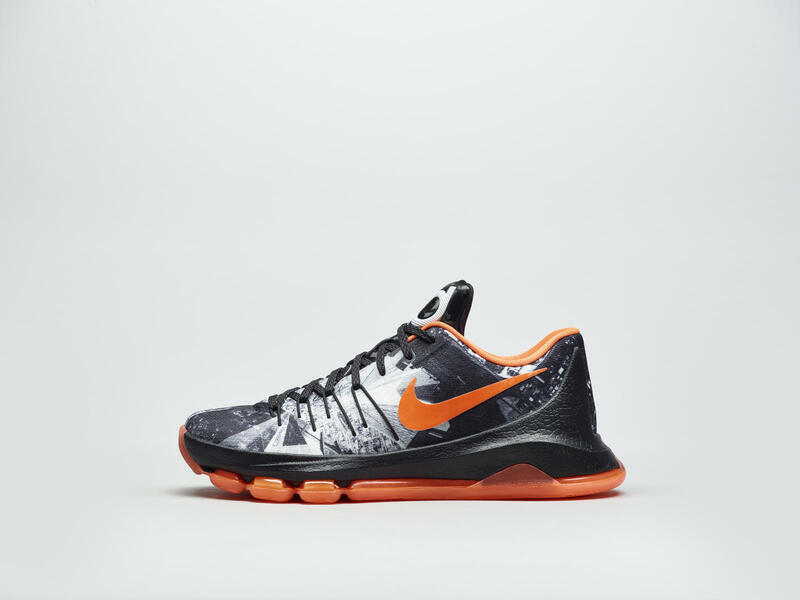 The KD 8 features a black and white graphic woven into the Flyweave upper, with orange and crimson hits along the lining and outsole. Durant will unveil this colorway Wednesday night against San Antonio. 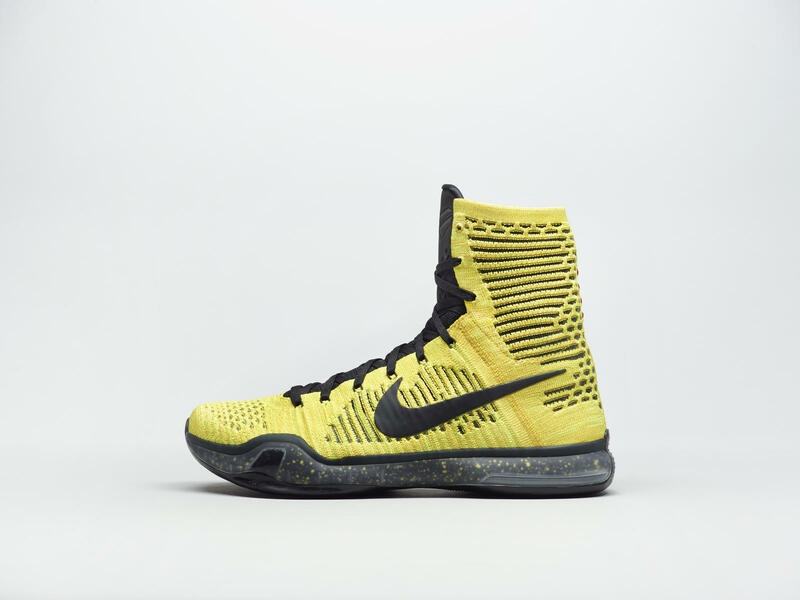 The Kobe X Elite features a volt yellow Flyknit upper, and blacked out accents along the Swoosh, outsole, and volt speckled midsole. Bryant will wear this colorway against Minnesota on Wednesday as well. 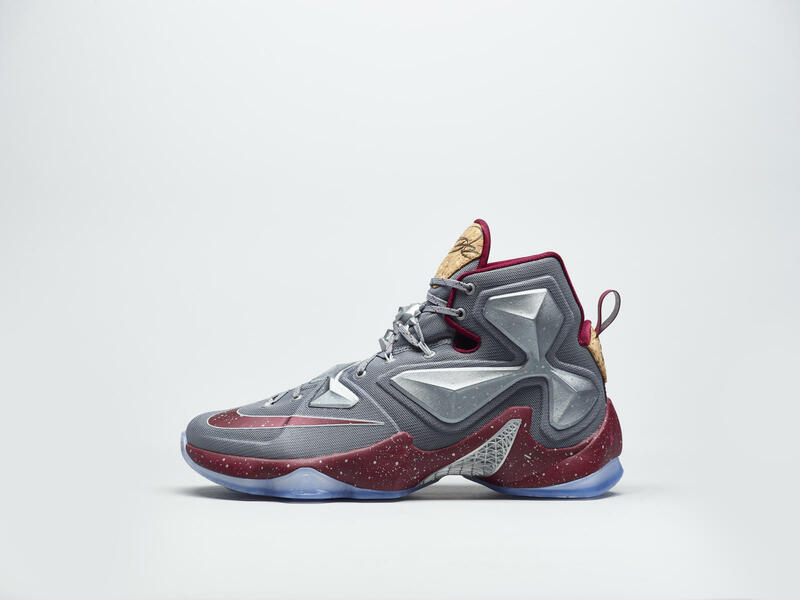 Finally, the Nike LeBron 13 in this Opening Night Pack is the one shown to you yesterday, with a grey upper, wine red midsole, Swoosh, and inner lining, and cork accents the tongue and backtab. James will wear this colorway tonight against Chicago. The Nike Basketball Opening Night Pack will be available globally on November 11, in limited quantities, at select Nike Basketball retailers. Do you any or maybe all of these colorways? I really like this pack, my favorite actually has to be the Lebrons. The kobe’s just don’t look good to me, purple is much needed on them. They should’ve made them have a flyknit “ying yang” look like on the Kobe 7’s, that’d be dope.